Famous Heavy Towing Services operates both in Sydney and interstate covering the most parts of Australia. Our professional drivers are experienced and our dispatchers will provide you with a one-on-one service and vehicle tracking. Our clients include manufacturers, new and Used, wholesalers, rental machinery companies, Auto auctions, Constructions Auctions and even private owners. 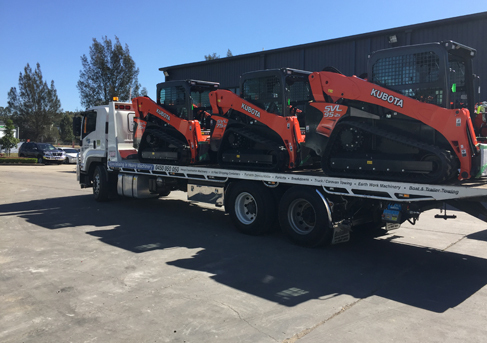 Famous Heavy Towing Services’ wealth of experience in the Interstate transport industry will guarantee that your goods arrive safely. Trusts us to provide you with quality and efficient service. 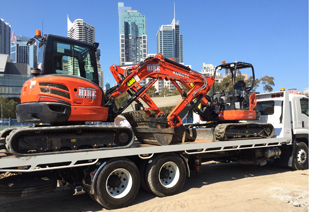 We can get your Machinery,Trucks Etc safely and promptly to its new location. Cost is always a consideration in interstate transport. Some companies will give you one price but when the job is done, you will be stunned to learn that there are many added charges to the agreed upon price. At Famous Heavy Towing Center, we are upfront with the costs. Our years of experience and satisfied customers can testify to that. Call our transport experts or fill out the simple form to get a free quote on interstate transport.